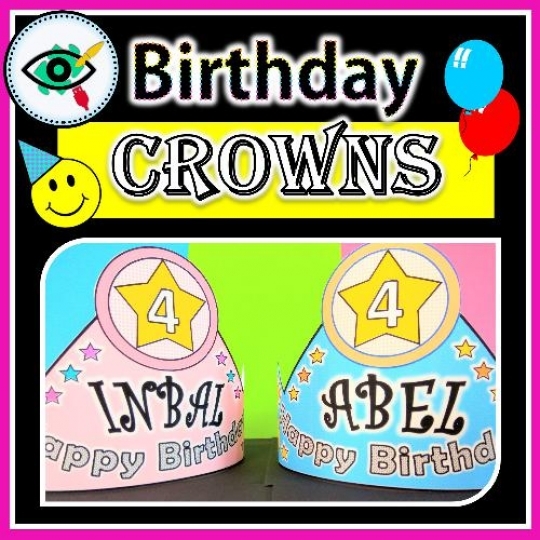 Birthday Crowns are a great way to stand out and be special for one day. Colored boy/girl with a choice to write name and numbers. Black and white ready to color with age numbers on the crown for ages 3-7. Black and white with a choice to write name and numbers and color. Simply print the crown you like best on cardstock size: 8.5 x 11. Color (black and white version), write the student’s name and his/her age. Staple the band to the arm/crown. Birthday colored strips black & white and colored to use as bracelets, bookmark or other uses.